Actually, it's really shocked and embarrassed that there is no solution for StarCraft in 0CTF 2017 Quals. I have been looking forward to the first blood in the whole second day, however, sadly, not a happy ending. After game, I made a deep self-examination for such a situation. Maybe I ignore the difficulty of reversing manual data structure (for which I should have provided the unstripped binary). Or maybe I made a huge misleading on the intended unexploitable UAF, leading many pwners wasted too much time and ignored the real one. obviously, a great improvement is needed next time. StarCraft is designed for testing the ability of vulnerability hunting rather than vulnerability exploitation. I try to simulate a real software with many bugs, some of which are exploitable and the others are not. Unlike some other pwnable challenges, the bugs in StarCraft, none of which is made on purpose, are all from the process of my coding. As a result, you could not only look for vulnerabilities, such as stack overflow and uninitialized variables, in routine. You should go deep, and avoid being fooled by the bad vulnerability. Lonely, a REAL soldier should face StarCraft BY HIMSELF. Hint: Do you know Splay and Segment tree? Hint2: It's a bad splay tree filled with vulns. Do not concentrate on the unexploitable ones. 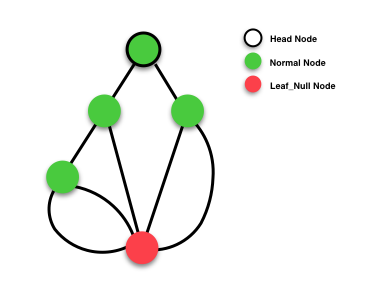 The binary maintains a splay tree which supports interval operations. It may also be regarded as a variant of segment tree, I think in some way. You could find more specific information about this kind of data structure from this link (I have tried my best to find some suitable material from Google, and this seems like the one matches most). Show the robot's information, who has max HP with id ranging from x to y. Next step, You could choose to kill this robot or not. The insert operation on this splay is really odd, for the strange GC Call in the basicInsert(). Now we come to the code to see the vulnerability. In leave(), change the exit_funcionts_list in libc to get a shell in exit(). There are some other restrictions we should bypass, such as that any lazy_id tag should not be pushed on the Leaf_Null node, but not the point and not much difficult. So I leave them out. Following is my EXP script.